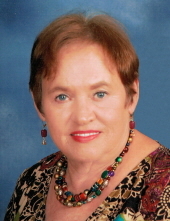 Avis Jewel Evans Parrish, 71, of Americus died Wednesday, January 30, 2019 at her home. She was born April 18, 1947 in Sylacauga, AL to the late Ace Edward Evans and Berta McCord Evans. Because of her care and concern for others, she was honored by the Family Mission Team at Concord United Methodist Church through their “Bags of Love” service project. Funeral services will be held at 11:00 a.m., Saturday, February 2nd at Greg Hancock Funeral Chapel in Americus with Rev. Matt Avera officiating. Burial will follow at Oak Grove Cemetery. The family will receive friends one hour prior to the service, from 10:00 a.m. to 11:00 a.m. Survivors include her husband of fifty-five years, Ronnie Parrish of Americus; daughter, Connie Jewel Parrish of Columbus; son, Ronnie “Ron” B. Parrish of Americus; a brother, James Edward Evans of Ellerslie; a granddaughter, Haleigh B. Parrish Tubbs and her husband Josh of Ellaville; and a great-grandson, Luke Allen Tubbs. The family of Mrs. Parrish would like to graciously thank the Concord United Methodist Church Family Mission Team for honoring her through the Bags of Love project. She was thrilled and honored to be recognized in this project. Thank you for thinking of Jewel during her last days here on earth; we give God the praise and the glory. The family suggests memorial contributions be made to: Concord United Methodist Church, 1996 Ga Hwy 30, Americus, GA 31719 or to: Kindred Hospice, 100 Brookstone Centre Pkwy., Columbus, GA 31904. To send flowers or a remembrance gift to the family of Avis Jewel Parrish, please visit our Tribute Store. "Email Address" would like to share the life celebration of Avis Jewel Parrish. Click on the "link" to go to share a favorite memory or leave a condolence message for the family.